My newest addition PXG 0341 with a HZRDUS Yellow 76 6.5. I love this club it the only one of their clubs I would actually buy. Must admit that PXG has some very cool looking hardware. It's painful to take those first swats and marr the finish . 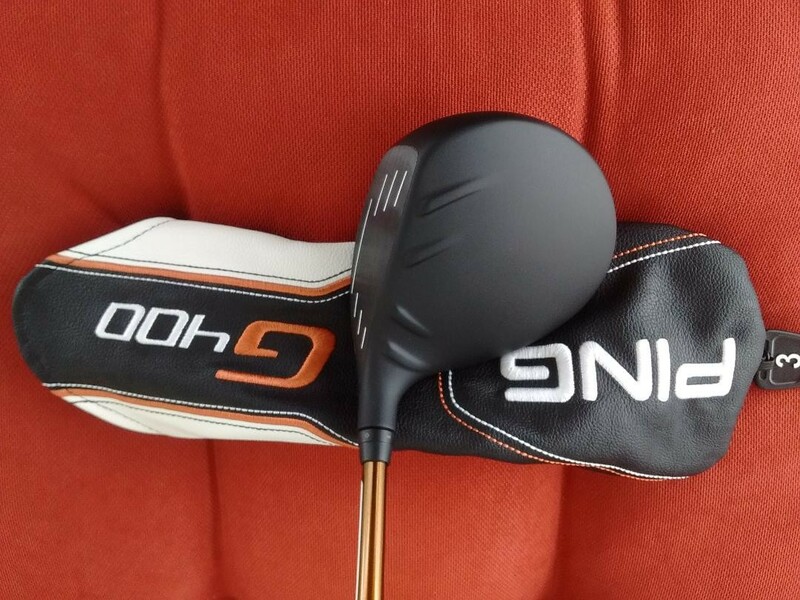 I recently received my new Toulon Indy and Golf Pride Tour SNSR Contour Pro 104cc grip. 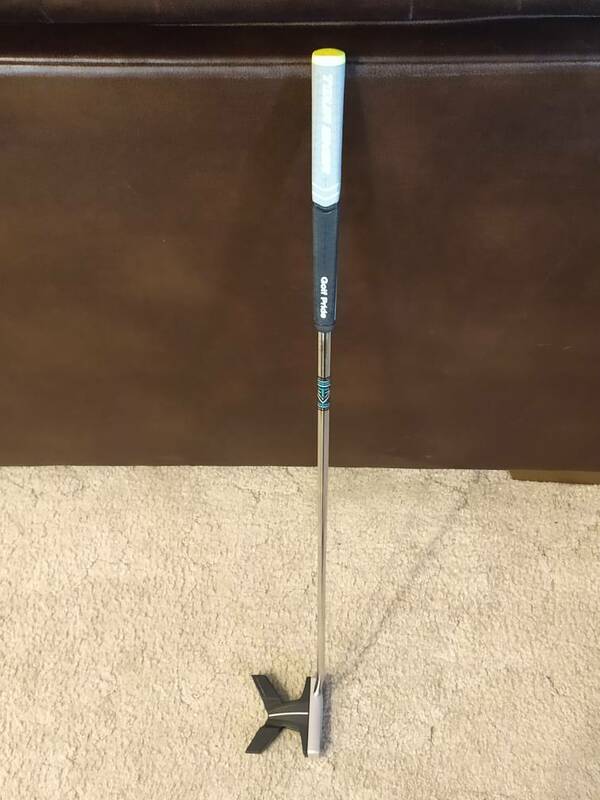 As I said in my witb, I did some modifications to it and have only carpet rolled so far, but the grip fits just right in my hands and the Indy looks great. Today I purchased a new Mizuno ST190 9.5* driver head which is suppose to be here Thursday. Will post pics when it arrives. With the weather they are forecasting this week, my local range should finally open for the season and I CAN'T FLIPPIN' WAIT. Finally some full swings. Had time to kill while the woman did woman stuff and stopped at the local shop to roll some of these stroke labs. They just happened to have a double wide flow, in 33", with the oversized grip. Tried the #1 and #3 but didn't feel as good to me, I think the blade length throws me off? Maybe it is something I could get used to, but I was more successful with the double-wide anyways, so I brought it home with me . Also grabbed a couple GP Tour Velvet +4 to try. I see many birdies flowing from that beauty! In an effort to build some more confidence with my G 3wood I bought a matching HZRDUS yellow to my driver. It’ll be my first install with a shaft adapter, hoping it won’t be too difficult. Also took advantage of Golfworks grip promo and I’m going to try a Lamkin Sonar grip. Looking to freshen things up. 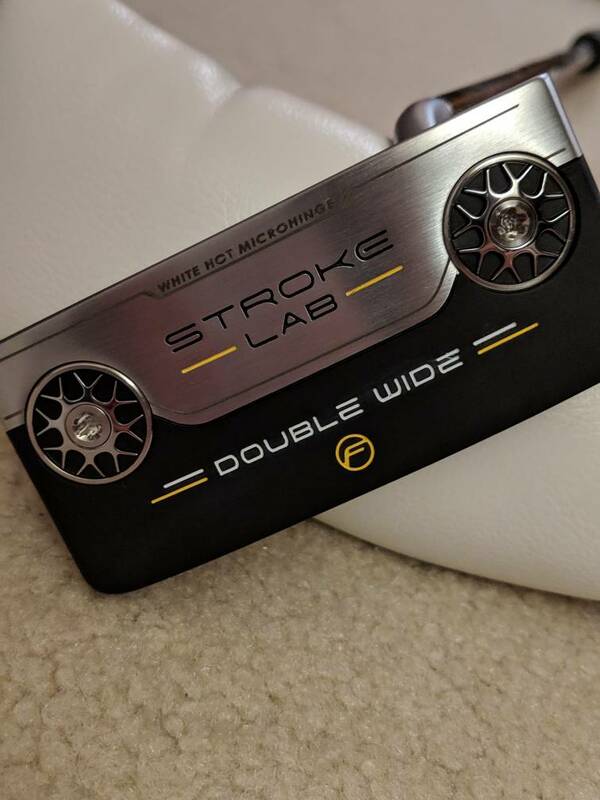 Hope you get as much enjoyment from your Stroke Lab putter as I'm getting from mine. Took me a bit to get used to it, but now it feels like a perfect fit in my hand. Man. I'm wanting a Stroke Lab very badly. Liked it at the PGA Show. 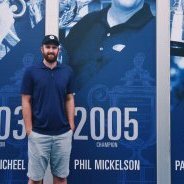 Then I went to a Callaway Seminar a week ago and won the popular putting contest by making 8 10 footers in a row with the SL #7. 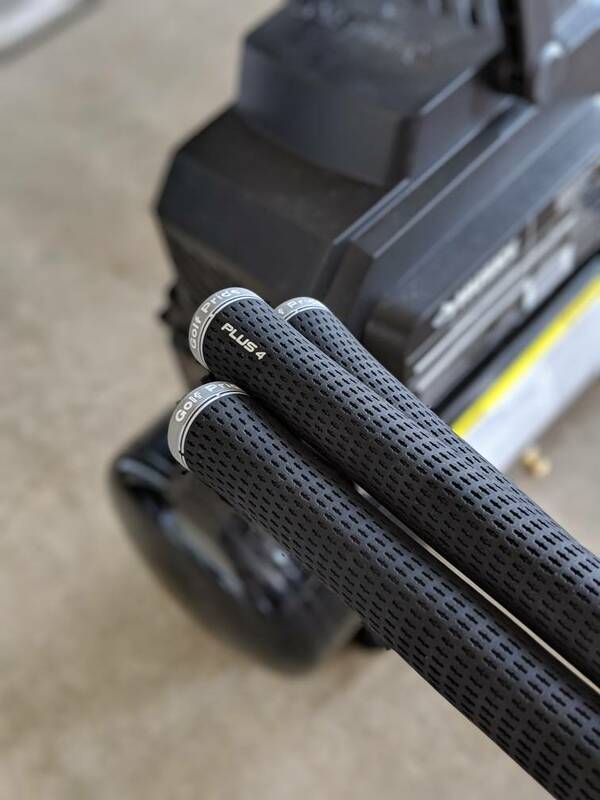 Ironically, these are easier to install with air than Pure grips were. Testing them out on a long and short iron, and my 56. What grips were you using before these? The stock Pure grips on my irons, MMC standard on my wedges. These feel nice just taking practice swings in my mom's yard. Hopefully I'll get to test them out on Wednesday after work. Interested in hearing what you think of them. Did you go with midsize or standard? Standard, I have small girly-man hands. Base of my palm to the end of my middle finger is 7.5" -- it makes working on computer hardware and engines really nice though. I like the standard Tour Velvet - I have played it in my last 2 drivers, and I liked the reduced taper of the MMC +4 when I had them on my irons, so I figure I'll probably like these. It does feel a little weird on my 56* but I imagine when I need to choke down it'll be nice to not feel like I'm holding on to a pretzel stick. Maybe the mods will let me give some feedback in the official testing thread when it drops. I'm wondering if it'll have an effect on turning the club over. Would be nice if it influenced me to leave the face open a little longer which is something I'm trying to work on. 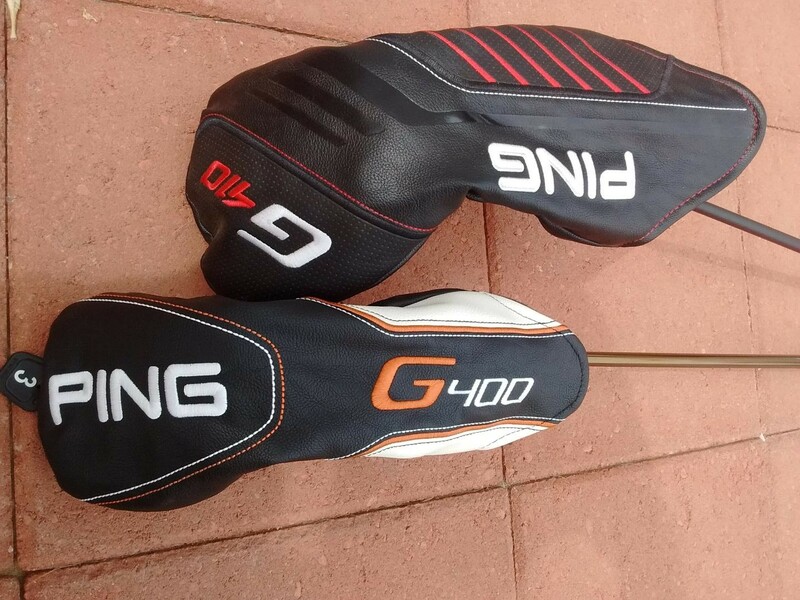 Just won an eBay auction for a new G400 SFT, 3w. 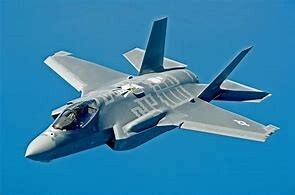 It will replace my Warbird 3w. One of the guys in the group here in Yuma has both the Ping G 3w and 5w. I've tried both several times and really liked them. Very easy to hit and yielding like distance to my WB but with higher ball flight. I had found one on auction I was ready to bid on, but then noted a brand new G400 listing, so figured I'd try that first. It will be in my bag for this Thursday's round. The G410 now has more immediate family to with those funny looking cousins . A twin 76g HZRDUS yellow for my 3 wood to match my LST and some grips. Excited to try the new Sonar which was a free promo from Golfworks. The Deep Etch is for my Evnroll ER5 that I bought this morning. Ok so my previous post showing off my Cobra F8+ is old news.. but this just came in on Monday.. I had it all glued, cut and gripped. 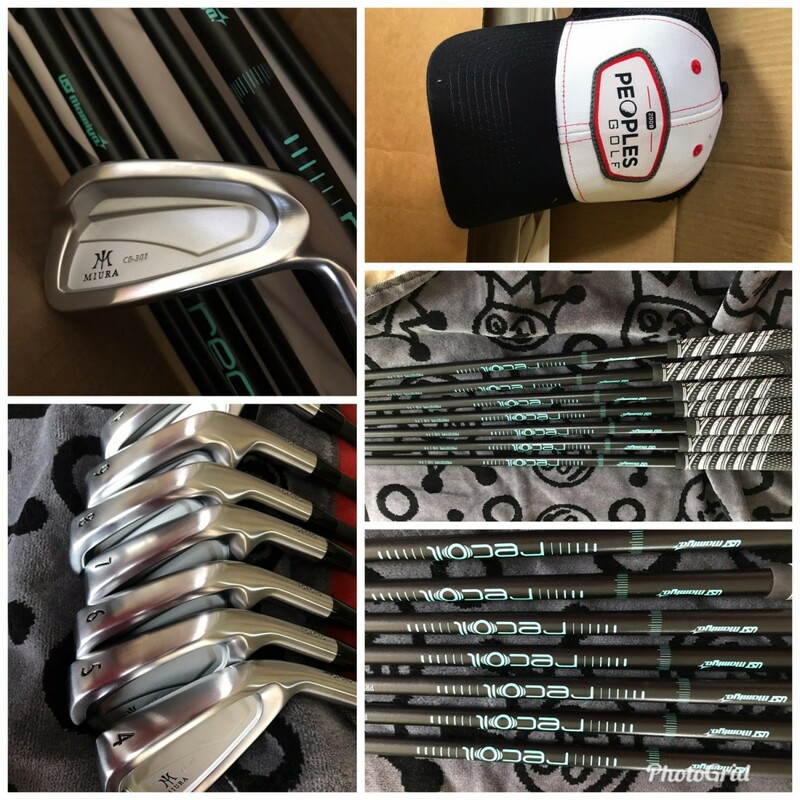 I bought everything from Golfworks. Cut to play at 45.25" and D2. 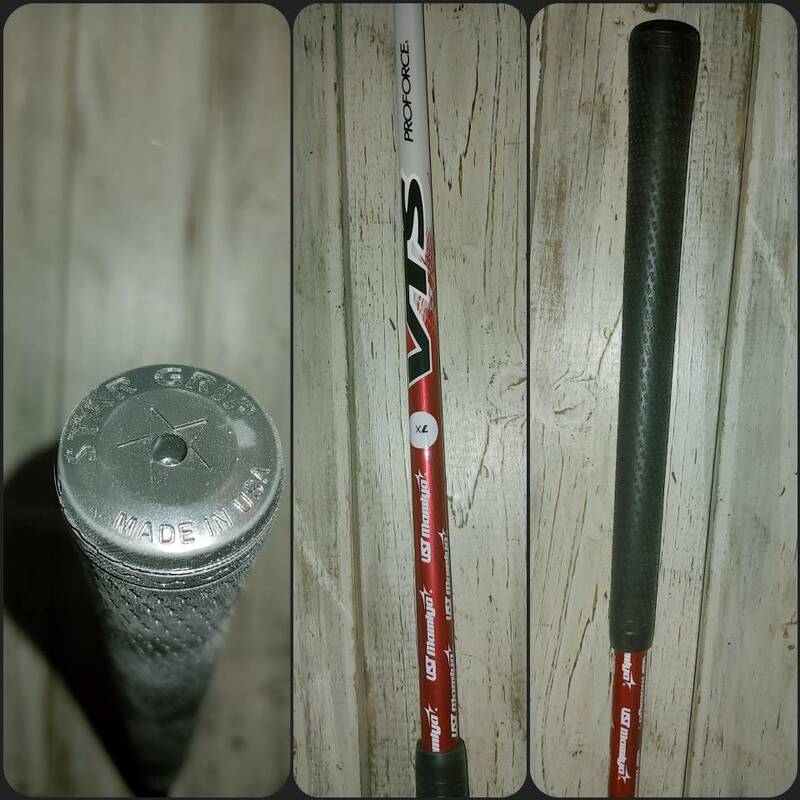 The shaft is a UST Proforce VTS 7X black. 78g X flex. This thing is a beast! For an X flex with 2° of torque this thing isn't boardy at all. It really allows you to load up pretty hard and still maintain complete control. Bought it on clearance for $30!!!!!! The grip is a Star Sidewinder. For a $6 grip, I couldn't be more impressed. I use Pure pro's on my irons and thought I'd give this a whirl because of it's similarity and good reviews. After digging deeper, I found out that the company is right in my back yard in Chandler, AZ. I'll soon be adding these to my wedges. Fantastic feel and quite tacky. Not a new and shiny club, but signed up for a swing evaluation lesson for Saturday! NICE! 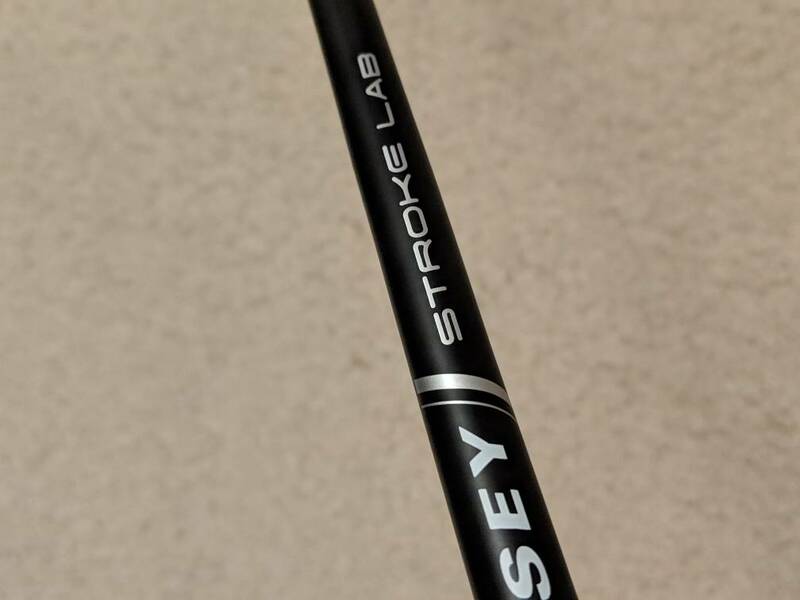 I was looking to get an X stiff shaft for my F7+ but I don't have any experience with shaft building and adding tips, etc. I'll have to check out Golfworks before heading to the bay.